CreativeMornings was started in Brooklyn, NY in October 2008. CreativeMornings has grown to over 200 cities and 60 countries. Tina Roth Eisenberg (swiss-miss.com) is Founder & CEO. 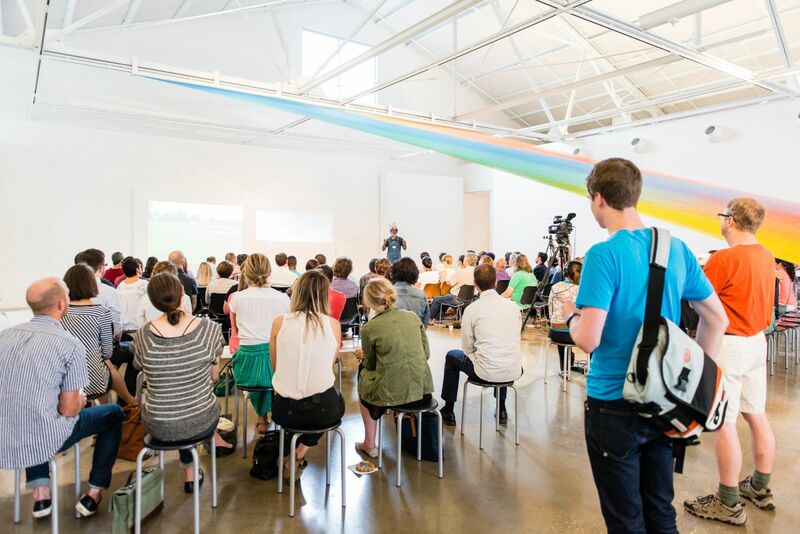 CreativeMornings is a global breakfast lecture series serving local creative communities in over 200 cities. Started in 2008 by Tina Roth Eisenberg, she wanted an easy way for her New York creative community to come together, on a regular basis. CreativeMornings events are free of charge and always will be. Powered by the generosity of over 200 hosts and 1,500 volunteers, events happen on a monthly basis typically featuring an inspiring talk and breakfast. The CreativeMornings team is headquartered in Brooklyn, NY. After 9.5 years of building face-to-face communities at their events, in 2018, CreativeMornings launched the CreativeGuild, a membership-based online network for creative companies and individuals. The CreativeGuild is translating CreativeMornings’ IRL community values to a space online and creating a more human experience on the Internet. Key features include company pages that not only highlight a company’s work but showcase their personality, a global job board where CreativeGuild members can post unlimited job postings, and (coming soon) an inspiration feed you can filter and curate to your own tastes as a user. April 3, 2018 — Announcing the CreativeGuild New!